The Darjeeling season is going to be a strange one. The really amazing teas are priced out of reach (30% to 50% higher than in previous years) to compensate, the planters say, for the losses they sustained during the 105 days of strikes last year. So far I’ve bought, on the best possible terms, the following: Mission Hill DJ4 SFTGFOP1 Clonal, Puttabong DJ14 SFTGFOP1 Clonal Exotic, Puttabong DJ12 SFTGFOP1 Clonal Queen, Orange Valley DJ5 SFTGFOP1 cultivar China, Balasun DJ6 SFTGFOP1 Himalayan Mystic, and Rohini DJ15 FTGFOP1 Exotic White, all exclusive. They’re of a remarkable quality and will delight enthusiasts. 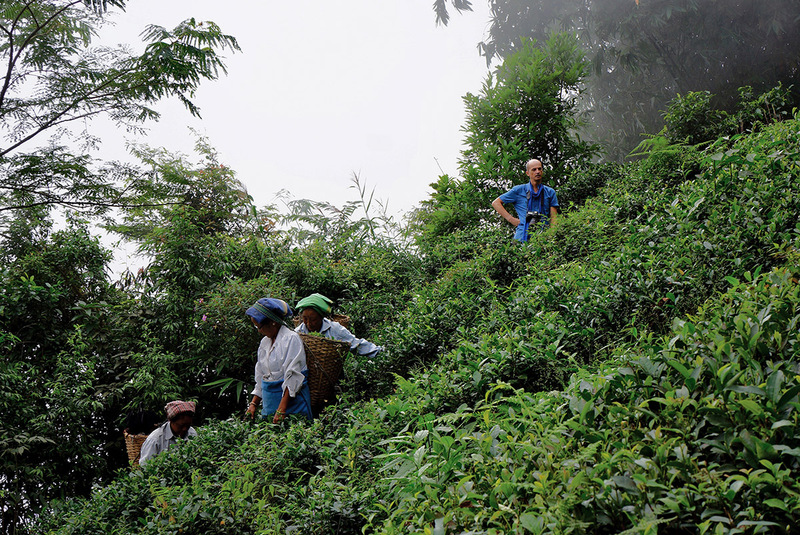 For those wanting first-flush Darjeelings at lower prices, you’ll have to wait. Firstly, the only teas that are cheap are very poor quality, and secondly, even the mediocre teas are priced high, or very high. They’re absolutely not worth it. To sum up, this year requires more vigilance than usual. For fans of Himalayan teas who aren’t focused on Darjeeling, and who are looking for good deals, why not wait for the Nepalese teas? They’ll be ready soon and often represent excellent value for money.